You and your chosen estate agent will be most effective if you develop a close working relationship over the coming months, so it’s important to choose wisely. With so much choice available, how do you make the right one? Personal recommendations are invaluable and we’re proud to say that 96% of our customers would recommend us to family and friends, compared to a national average of 73%. Ensure they are members of a redress scheme such as The Property Ombudsman, Ombudsman Services or Property Redress Schemes. This is a legal requirement. Are they members of a recognised accreditation body such as the National Association of Estate Agents or Royal Institution of Chartered Surveyors? This is highly recommended. Do they come recommended by family or friends? Personal recommendation is invaluable. Are they selling properties like yours? How do their service levels and fees compare with other agents in the area? Are their fees easy to find and transparent? Their valuations should be free and without obligation. Do they take professional photographs? When you phone them, are they friendly and professional? Are they knowledgeable about your property type and location? Do they sound like you would want them in your home? Where will they advertise your property? Which online portals do they use? Do they make a good first impression, putting you at ease and making you feel confident in their abilities to sell your home? Are they interested in your needs? For instance, do you want to sell quickly, or hold out for the best price? Do they offer advice to help you achieve your goals? Do they take measurements and record the key details of your property? Do they ask you why you bought the property in the first place? This can help with the marketing. Do they provide you with a valuation report showing properties similar to yours with recent sale figures? 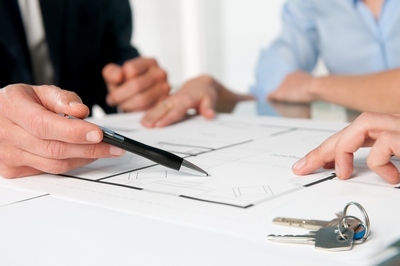 Can they tell you how many potential purchasers they have looking for a property like yours?